This webinar outlines the growing importance of open source to the telecommunication industry, using cloud technology as an example. Overall the significant technological transition enabled by cloud, SDN and NFV from combined hardware/software products (aka bare metal) towards software-only solutions unlocks innovation in the telecommunications. In this context, open source is an essential tool for accelerating innovation. Open source is one important component among commercial software, standardization, partners, SDN, NFV, cloud computing and related services. Open source works because more minds are better than one and there is a large enough problem to be solved. Vendors, service providers, enterprises and individuals are all users (consumers of open source), but they can also be contributors to open source projects. Evolution of open source usage in telecommunication - from proprietary-led systems to upstream focus. Kamil Gregor is a Research Analyst within the European Infrastructure group. He focuses broadly on datacentre topics, and specifically on cloud infrastructure components research, contributing to IDC's Western Europe Quarterly Cloud IT Infrastructure Tracker and European Cloud Strategies CIS. Kamil also helps deliver consulting projects with focus on the service provider build-out in the region, and he is a core part of the team shaping IDC infrastructure research agenda in Europe. Gregor received PhD in political science and worked as a data analyst with KohoVolit.eu, a Central European CSO focused on analyzing politics-related data, where he focused on scraping, analyzing and visualizing parliamentary data. Prior to joining IDC, he also cooperated with a number of organizations in academic, public and corporate sector as an external researcher and published extensively in mainstream media and in a number of data journalist blogs. 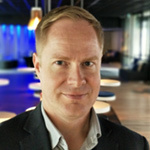 Tommy is an Internet and telecommunications professional responsible for corporate wide market positioning of cloud solutions and technology at Nokia. With over 20 years experience, Tommy has extensive knowledge in both fixed and mobile networks, from both CSP and vendor side. Former positions include pioneering operator VoIP deployments in late 90’s, IP/MPLS network planning and peering, Internet research and packet core product management. Tommy has been engaged in cloud and NFV engagements with customers since 2010. 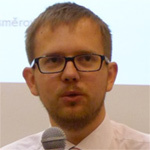 Jonne Soininen is Head of Open Source Initiatives at Nokia based in Espoo, Finland. Prior to Nokia, he worked in different positions with Nokia, Nokia Siemens Networks, Renesas Mobile and Broadcom and has an extensive history in telecommunications and software engineering ranging over 25 years. Jonne has a Doctor of Science (Technology) from the Aalto University, Finland from the school of electrical engineering on networking and Masters degree on computer science from University of Helsinki. Jonne has an extensive history in open source organisations and in standardisation. In open source, he is serving as a board member of Open Platform for NFV (OPNFV) and Open Network Automation Platform (ONAP). 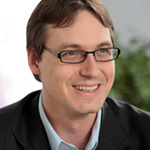 In standardisation Jonne has been active in organizations such as 3rd Generation partnership project (3GPP), the Open Mobile Alliance (OMA) and the Internet Engineering Task Force (IETF).